McALLEN — A Nebraska man accused of robbing a bank made his first appearance in federal court Wednesday, months after police captured him. 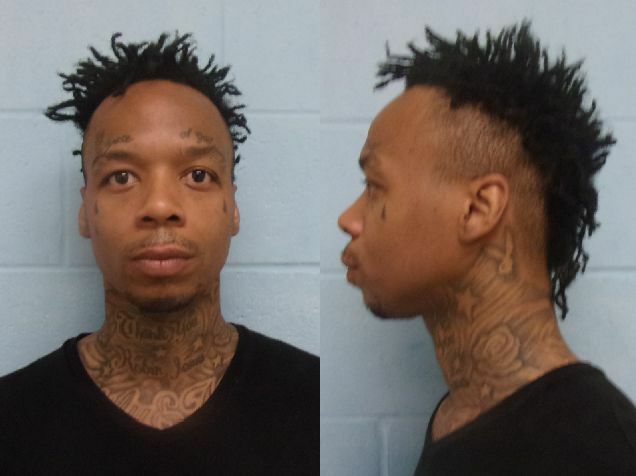 Kenneth Shante Jones stood before U.S. Magistrate Judge Peter E. Ormsby in connection with the April 17 incident where he threatened several bank employees, which was later confirmed to be a BB gun. Jones, who was indicted by a Hidalgo County grand jury last Thursday on four counts of aggravated robbery, now faces federal bank robbery charges, court records show. McAllen police officers arrested the 37-year-old man on April 17, hours after he allegedly walked into a bank in the 3300 block of North 10th Street and threatened to shoot several bank employees during a robbery. Jones allegedly collected money from multiple tellers, placed the cash in a white plastic bag and left the area in what was later determined to be a vehicle he had stolen the night before. At about midnight, just 10 hours before the bank robbery, Jones allegedly held up a convenience store clerk at gunpoint at a Stripes in the 700 block of North McColl Road. Jones allegedly demanded money from the clerk, and then made off with the keys to the clerk’s vehicle, which authorities found after canvassing a nearby neighborhood. Officers also utilized surveillance video and determined Jones had hailed a taxi away from the area where he had allegedly abandoned the vehicle. “Employees of the hotel were able to identify the suspect as (Jones),” the complaint states. Once Jones’ room and location were determined, they waited for him to exit his room before placing him in custody, the complaint states. Authorities found clothes Jones wore and cash “exceeding” $10,000 in addition to several marked bills, the complaint states. Ormsby granted the government’s request that Jones be held in custody pending his preliminary and detention hearing, scheduled for Friday afternoon. Jones was also assigned a federal public defender for his case, court notes show.